Next week’s serving: tea, cakes, ices, and a platter of slightly balding head. This entry was posted in "The Love Song of J. Alfred Prufrock" by T.S. 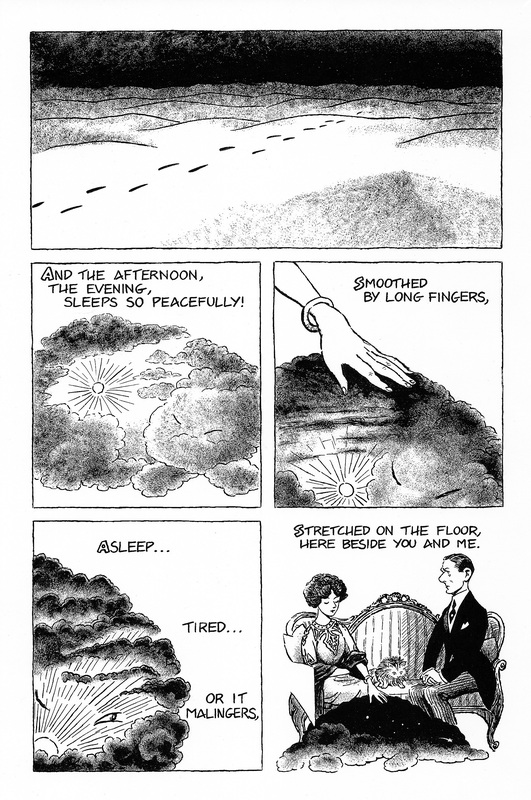 Eliot, comic book poetry, comics and tagged afternoon, evening, long fingers, the love song of j. alfred prufrock. Bookmark the permalink. Brilliant. As usual. The highlight of my week (on the weeks they arrive). Thanks! Well, there will be new material for the coming 5 weeks at least. I love this poem and what Julian Peters is doing with it.